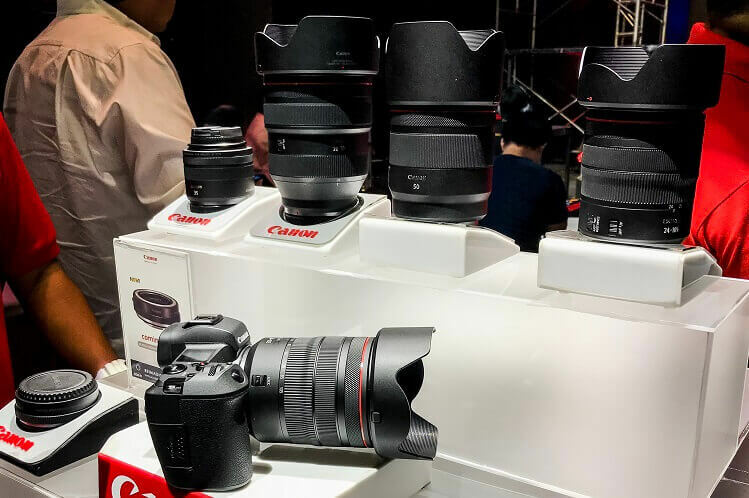 Canon recently unleashed its new era of photography in the Philippines as they finally launched the company’s first full-frame mirrorless camera – the EOS R.
The EOS R is a 35mm full-frame CMOS sensor mirrorless camera that features interchangeable lens and an electronic viewfinder. Having a new RF mount, the device has a large 54mm diameter, short flange focal distance of 20mm, and a tough 12-pin connection. This allows its RF mount to deliver an upgraded high-speed data processing between the lens and body. Hence, it offers a fast autofocus, and an elevated image stabilization and optimization. With a focusing speed of 0.05 seconds, the EOS R also sports a 5,655 manual AF points, and ISO sensitivity range of 100 to 40,000 for photos and 100-25,600 for video. It comes with an Auto Lighting Optimizer, as well, to make low-light shots great and well-balanced. “Compact, lightweight, and incredibly responsive– the Canon EOS R does an amazing job for my destination shoot travels, portraits, and weddings. I shoot a lot of low light environments during wedding events and even when I find myself cranking up the ISO levels even to ISO 6,000, the results are still impressive!” Pat Dy, famed wedding and fashion photographer, shared. The Canon EOS R is priced at Php147,998.